There's a reason for you to not stop loving HiSHOP for they always bring the best and awesome beauty products from both local and overseas in one place to make us shopping at ease at once! 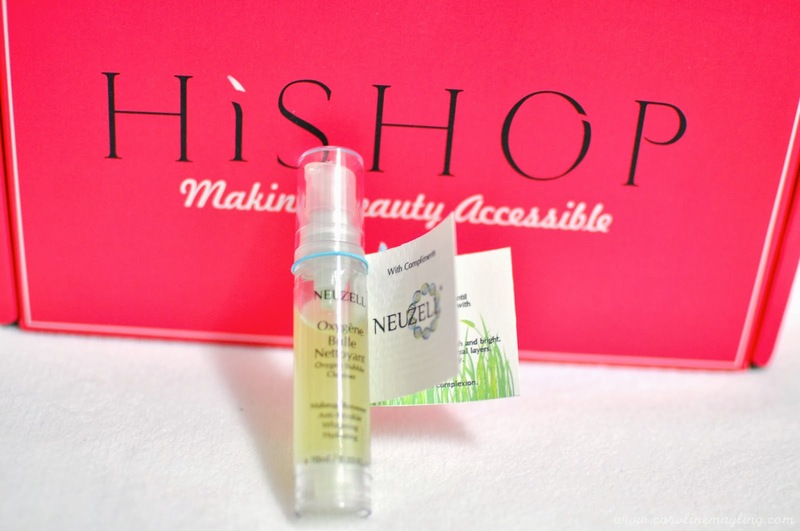 Here's another awesome product that is now already available on HiSHOP since last month - Neuzell Oxygen Bubble Cleanser. NEUZELL Oxygen Bubble Cleanser is specially formulated for all skin types, without Parabens, SLES, Alcohol, Mineral Oil, Artificial Colours and fragrance which also means it is safe to be used. Furthermore, Neuzell product is dermatological and clinical tested effective. 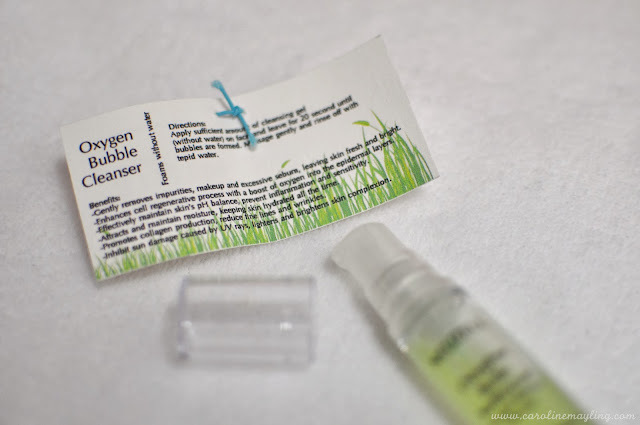 Gently removes impurities, makeup and excessive sebum, leaving skin fresh and bright. Enhances cell regenerative process with a boost of oxygen into the epidermal layers. Effectively maintain skin's pH balance, prevent inflammation and sensitivity. Attracts and maintain moisture, keeping skin hydrated all the time. Promotes collagen production, reduce fine lines and wrinkles. Inhibit sun damaged caused by UV rays, lightens and brightens skin complexion. 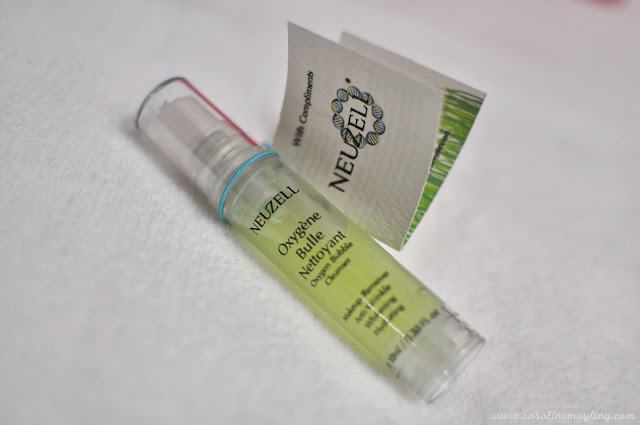 This Neuzell Oxygen Bubble Cleanser works slightly different than other cleanser. 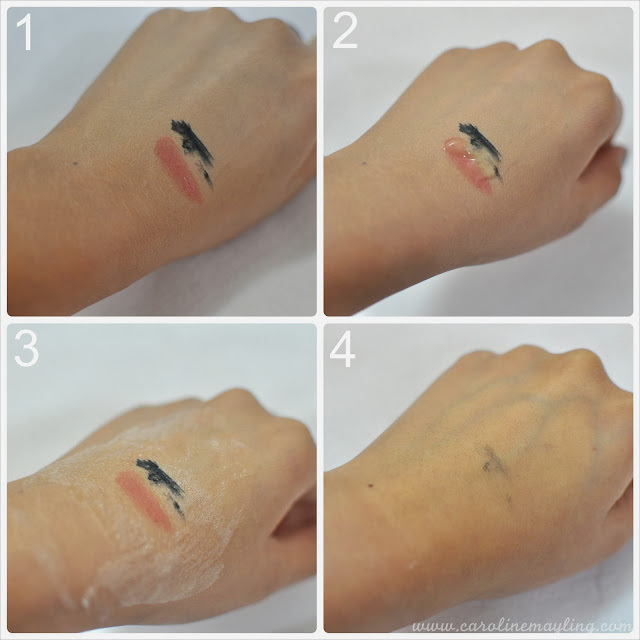 I only fully understand how it works after the third time using this product. You need not to wet your face before applying this cleanser on your face but you need to ensure you apply and cover all the face areas. You have to do it quick as it will form bubbles everywhere on your face in 20 seconds. Once the bubbles are formed, you have to start massage gently on your face before all the bubbles gone. As you can see above, it cleansed off both foundation and lipstick but not doing a very clean job on waterproof eyeliner. That's not a big problem to me as I always remove my eye makeup before start cleansing my face. My face feels quite refreshing and soft after each time using it. Purchase Neuzell Oxygen Bubble Cleanser on HiSHOP for only RM89.90 at 100ml.